Donna’s life began on February 20, 1932, the daughter of Robert and Pauline (Leidy) Winzer in Augusta, Kansas. She graduated from El Dorado High, Class of 1950. She married Rex Leland Frey on June 17, 1949, in Leon Kansas. Donna was a CNA at Susan B. Allen Memorial Hospital in the newborn nursery for 20+ years. She was a member of First United Methodist Church, Good Sam Club, and an EHU Member. She loved to quilt, sew, knit, and garden. She and Rex enjoyed camping and fishing and going to McAllen, Texas for the winter. Her loving family includes her son and his wife, Mark and Janet Frey of El Dorado; grandsons and their wives, Christopher and Kelly Frey of Stillwell, Kansas and Jeremy and Robyn Frey of El Dorado; great-grandchildren, Elsie and Katie Frey and one on the way; brother, and his wife, Larry and TheoJean Winzer of El Dorado; sister, Madelyn Stewart of Wichita; sister-in-law, Marlene Winzer of Augusta, Kansas; brother-in-law, Harold Shaver of Colorado; sister-in-law and brother-in-law, Mary Jo and Gerry Keller of Trinity, Texas; numerous nieces, nephews and friends. She was preceded in death by her parents; spouse, Rex in 2011; son, Keith Frey; brothers, Darrell and Robert Winzer; sisters, Dorothy Harper and Gail Shaver. 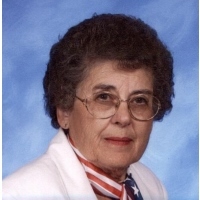 Donna passed away, Friday, April 12, 2019, having reached the age of 87 years old. Her family will gather on Monday, April 22, from 5-7 p.m. at Carlson Funeral Home where her service will be held on Tuesday, April 23, at 10:30 a.m. led by Pastor Mik King. Donna will be laid to rest with her husband Rex at Walnut Valley Memorial Park.